5320 Gamepoint Drive W Theodore, AL. 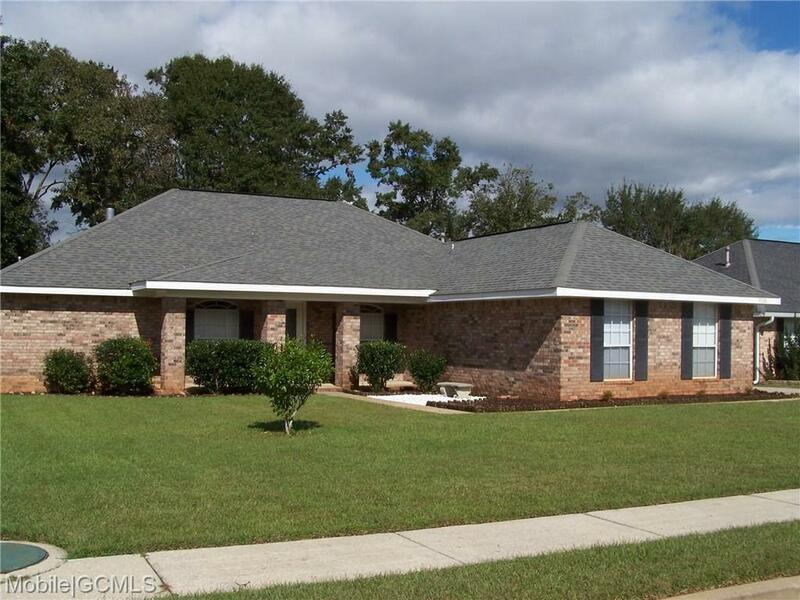 | MLS# 620736 | Assist-2-Sell Buyers and Sellers Realty - Homes for sale in Mobile County and Baldwin County. We work with buyers and sellers. Open house this Sunday--2-4 PM--Over 2100 Sq Ft. , Split bedroom plan, 3 bedrooms, 2 bath with double garage and privacy fenced yard . USDA 100% financing available. Totally updated with newly installed wall to wall carpet and freshly painted through out. Large master bedroom with double closets, and a glamour bath with separate shower and garden tub. Side entry double garage and a patio for your entertainment. There is a bonus room that can be a Study or separate office. AC unit and ducting replaced in 2013. Call for your appointment to see this move in ready home.